Pangea Organics for some heavenly suds. 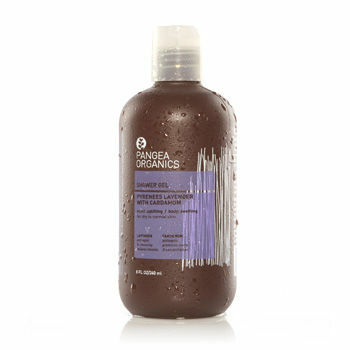 You may have read back in May, that Oracle Organics Body Wash is my favorite way to suds up sans bar in the shower. There’s a tiny glitch though, my supply is depleted and Oracle Organics is on maternity leave. Which leaves me to my second favorite body wash, of which there are actually two: Weleda’s Wild Rose Creamy Body Wash which I have already spoken of, and Pangea Organic’s Pyrenees Lavender with Cardamom Wash. I had forgotten how much I love Pangea’s Lavender Wash! The beautiful, luxurious suds that this wash creates are astounding. No puff is needed to achieve this lather, but of course feel free to use one. The scent is lovely as well. It’s a light lavender, with a hint of blood orange. I’ve never noticed any cardamom as the name suggests, and I’m on my second bottle. I’ve tried a sample of the Canadian Pine with White Sage and it certainly lives up to its name. It’s all about the pine and sage, and lots of it! If you like forest hikes that are balsamy, piney, sagey, and green, with loads of fresh air, go for this one. You’ll be enveloped in a sudsy woodland, right in your own shower. Quite apropos for the rapidly approaching wintry holidays. If bar soaps are your preference, which I have to admit I’ve become partial to lately, Pangea’s are not to be missed. Like the washes, theses dense bars pack some serious suds-action. I’ve tried two, Pyrenees Lavender with Cardamom and the Indian Green Tea with Mint and Rose Petals. To be honest, I can’t tell you much about either scent. They both became a variation on a subtle rosemary theme, but what stood out was the exceptionally silky lather. I bought them when they were on sale at Whole Foods a few months ago, so keep your eye out for those specials! I appreciate the full disclosure on the packaging that there are no petroleum-based ingredients, sulfates or detergents, synthetic preservatives, artificial colors or fragrances, or GMO’s. In addition, all of their products are handcrafted, organic and fair traded, and cruelty-free. And PS: Happy Thanksgiving to you, your friends, and family! Pangea Body Washes are $16 and available at Whole Foods and Pangea’s Website. 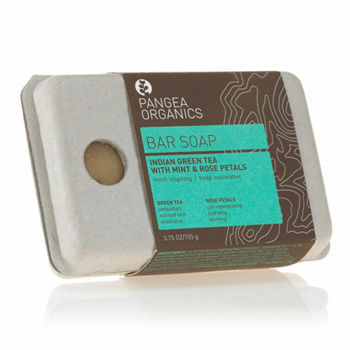 Pangea Bar Soaps are $8 and available at Whole Foods and Pangea’s Website. Really wanna try the weleda’s rose creamy body wash..I’m such a floral gal! Hope you also have a great Thanksgiving with your family! Happy Thanksgiving to you too Alyssa! You really do need to try the Weleda Wild Rose, it’s so lovely. I’ve been out of that too for a while now and need to stock up!